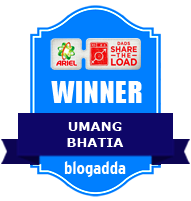 My childhood has been surrounded by my large joint family members and along with them my close relatives plus cousins. I was almost busy in my childhood attending some or the other cousin family function and never got a chance to travel or being open to the society. My attitude was more kind of reserved type and inclined to stay within home environment all the time. I would just go to school and then back home and my early childhood was more kind of restricted and very simple by all means. But as I started to move towards adolescent age group and higher class, I decided to give away my old lifestyle for some change and mix with friends and stay more out and explore the nearby areas. Our school provided us with opportunity in summer vacation for a group trip to see Indian rich cultural heritage and visiting various national monuments in neighboring cities like Agra, Mathura and Delhi region for a short span of three days. This trip was my first outing with school friends and was turning point in my life. It made me realize about weakness to stay dependent and rely on everyone for even small things. I felt that whole trip was very memorable and made me understand about importance of teamwork and being helpful to others. One of memories of that trip was when I had strain in my lower leg and had no medical kit and then one of my classmates helped me by giving the band aid and pain relief tube to help me get rid of pain. I still laugh sometimes when I see photos where my classmate are playing together and singing songs in the bus. 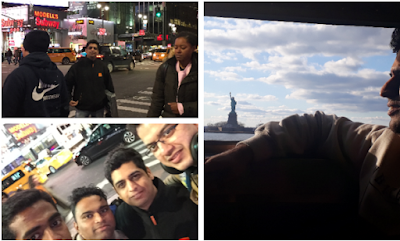 Another aspect of this trip was about understanding the importance of money and managing it in right manner and spending it in right quantity. This is one such awesome trip which has made me passionate about exploring the different places on earth and #SayYesToTheWorld. My love and passion for travel has increased over the years and now I have made a point to save some money from my salary to complete my inner desire of life to see different countries and visit all the beautiful places. 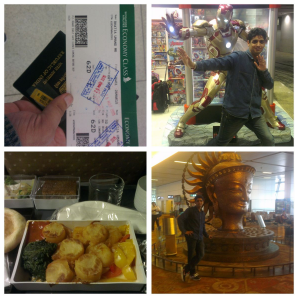 So now I want to share with you all about my travel pictures in this short span of life. I have been ardent cricket fan and love to follow this sport with all my passion and this gives me another reason to travel the world to watch live matches and important world tournaments. 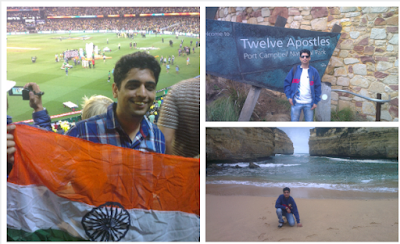 My world cup trip to Australia was very memorable and fun trip which also included the Ocean ride to Twelve Apostles and raising Indian flag in Melbourne Cricket Ground. New York Times Square was always my dream place to shop for electronic gadgets and I really liked the digital screen and atmosphere around the Manhattan New York. You cannot come back from New York without seeing the Statue of Liberty and so I made a point to visit it recently in my trip to USA last month. Another reason to explore this world is about understanding different cuisine and lifestyle of people and having delicious food for thought. I love to travel and see how different countries have brought a change in their system and what new coming in this world which would help me in my daily life. I also love to collect boarding passes and tags and try to keep them in my album so that I can cherish them for life. 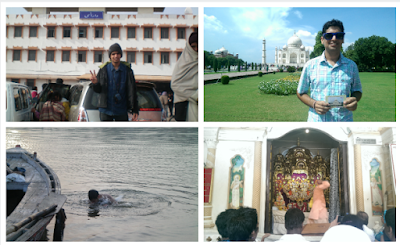 Some trips are taken to find the inner peace and get extracted from everyday life issues and spend time with my family. Such trips bring me more close to family and most of such trips involve lot of traditions and respect for our religion. These trips to pilgrimage with family help us to revive ourselves about our duties and respect to Mother Nature. There are many more reasons to get the idea to explore the earth and we are lucky to have different landscapes covering the deserts, mountains, sea shore and hills which can make you ponder over the idea to travel and pack your bags. You have to just find the single reason like your love for history or travelling to overcome your fear or it could be just moving out to see your relatives in different place. I love this world and it is not just about exploring and looking out but as a learning experience and every trip comes with different kind of learning and gives me happiness in life. I want to be world traveller some day and see most of the countries in this planet. Let us open our mind and forget all restrictions which are holding our travel plans for so long and enjoy the beauty of this world. I am glad that Lufthansa has brought up this amazing campaign to raise a toast to travel and cross the boundaries and fulfill the dream to explore this planet Earth.I am strongly in support to encourage people of all ages who are reading this post to #SayYesToTheWorld" and keep on moving.